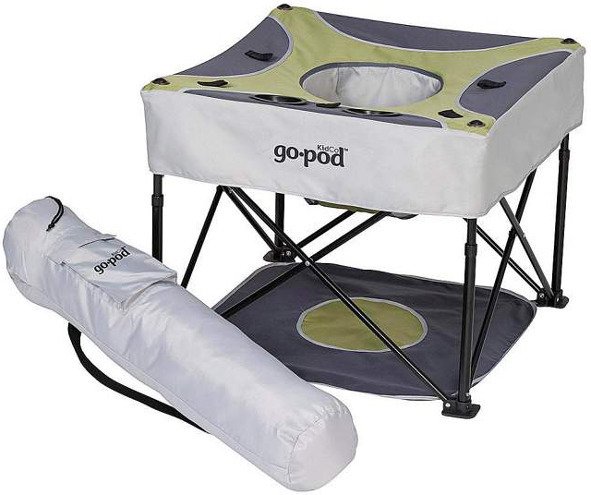 A great solution for tiny spaces, this Go-pod Activity Seat is portable, and safe for baby as it fastens and locks into position. A convenient floor pad is included and helps to keep your little one from touching icky or unclean surfaces. 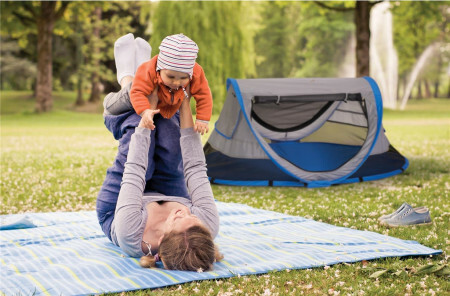 With four adjustable positions, the Go Pod will grow with your infant. This smart activity station features fun and entertaining array of five nylon toy loops – easily attach your little one’s favorite teether or toy. Place snack and drinks in the provided holders for safe keeping.